Engineers at the University of Washington have used a laser to wirelessly power a robot insect for the first time. 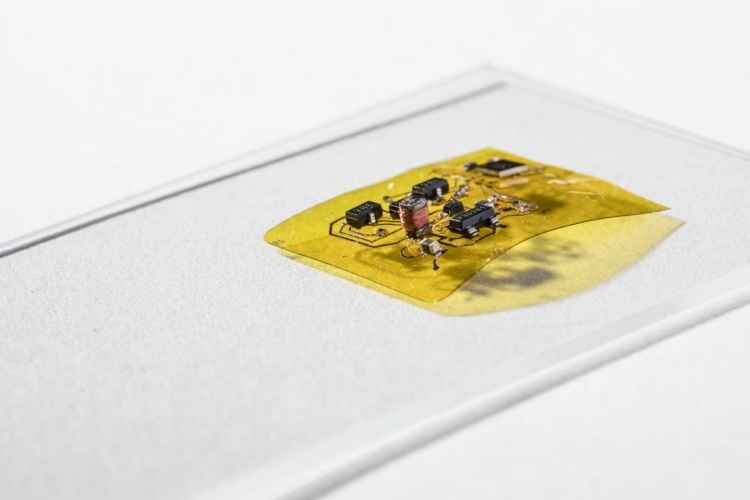 RoboFly has a tiny photovoltaic cell that coverts energy from a laser beam into electricity to power its flight. 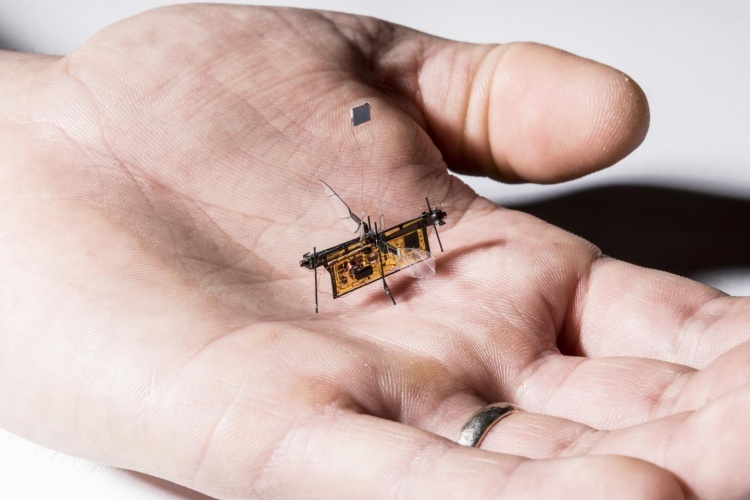 Until now, robotic insects such as Harvard’s RoboBee have been tethered to the ground in order to power their tiny bodies, which are too small to carry a requisite power source. But by directing a laser beam at the photovoltaic cell, the UW team was able to deliver enough power for wireless flight. RoboFly works by flapping tiny wings, as rotors and propellers don’t function on this scale. The team designed a circuit that boosted the seven volts coming from the photovoltaic cell up to the 240 volts needed for take-off. A microcontroller on the same circuit allows gives the robot insect a degree of command over its movements, sending voltage in waves to mimic the fluttering of a real insect’s wings. For now, RoboFly’s abilities are limited to take-off and landing, as the mini-bot runs out of power once it moves away from the laser beam. The UW team is exploring ways to steer the laser to deliver continuous power, while future versions could potentially be powered by tiny batteries or harvest energy from background radio signals. Advanced models could also be equipped with better sensors and brains for specific tasks, according to Fuller. Makes me appreciate the engineering marvels in the humble fly that is being copied even more! I am just finding out about the ATP synthase motor and other marvels that power us every second of every day – engineers should have relevant biology lessons as part of their further education courses as standard – so inspiring, as the field of biomimetics is demonstrating. I watched a bunch of youtube videos not long ago to try to understand the ATP synthase motor. It’s really quite fascinating though I was left with many questions. I agree about the bio lessons. I had some computational neuroscience lectures at uni and was blown away. Probably the most interesting undergrad class I took in my CS degree. The mechanisms of robofly seem clever interesting but would have been good to know what sort of power rating they require. Wireless power for helicopters started in the 1964 I believe (microwave- with rectenna with 50% conversion efficiency cf solarvoltaic). And more recently UAVs have been powered by lasers (at heights greater than 1 km); being tethered but the tether is only there to ensure that the laser energy reaches the drone/UAV. The image of a bag full of these UAVs flying around freely – and (multitude of) accompanying laser beams; worrying. Absolutely agree: along with Arts Courses: read CP (Sir Charles) Snow -the great proponent of the two cultures -Arts and Sciences- being essential to the well educated person and mutually complimentary. If you wish to go further, read the novels of Nevil Shute Norway -an Engineer/mathematician turned author -very popular in the 30s and later. He worked with Barnes Wallace on the original air-ship designs: and also with another young Engineer, who sadly died in 1943, having had a son: not unknown to some fellow bloggers.